Neymar Jr visited 250 children from the FCBEscola Charlotte (North Carolina) and other campuses of the United States (Cincinnati, Columbus, Washington, St. Louis, Indianapolis, Richmond, Louisville y Raleigh). 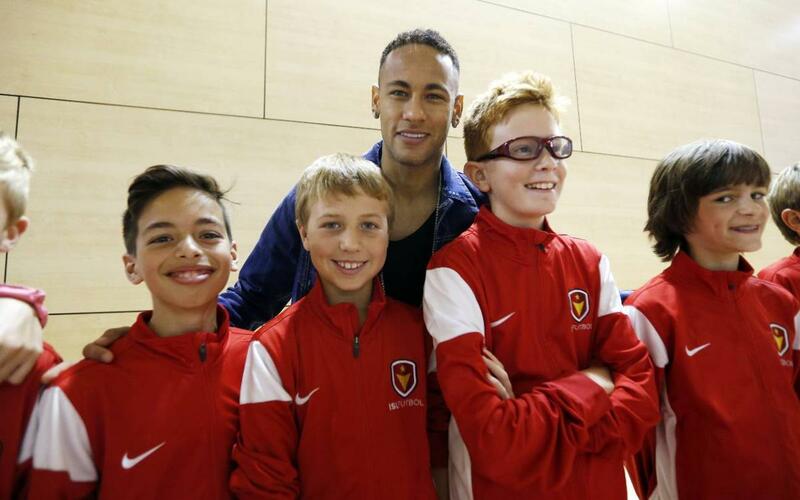 The event took place in the Ciutat Esportiva pavilion, where the young footballers received the visit of the Barça star and were able to take photographs with him. The visit came after Friday’s training session, where Luis Enrique’s side held a workout with Sunday’s trip to Anoeta in mind, against Real Sociedad. Neymar is looking to continue his fine form, after making another assist against Celtic in midweek, his seventh in Europe this campaign.